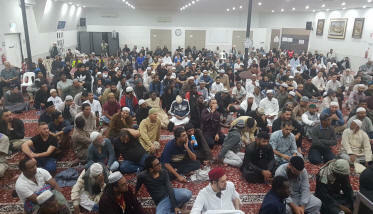 First Friday prayer in Masjid Nour Christchurch after the attacks led by Imam Akram Buksh, Imam of Brisbane's Slacks Creek Mosque. 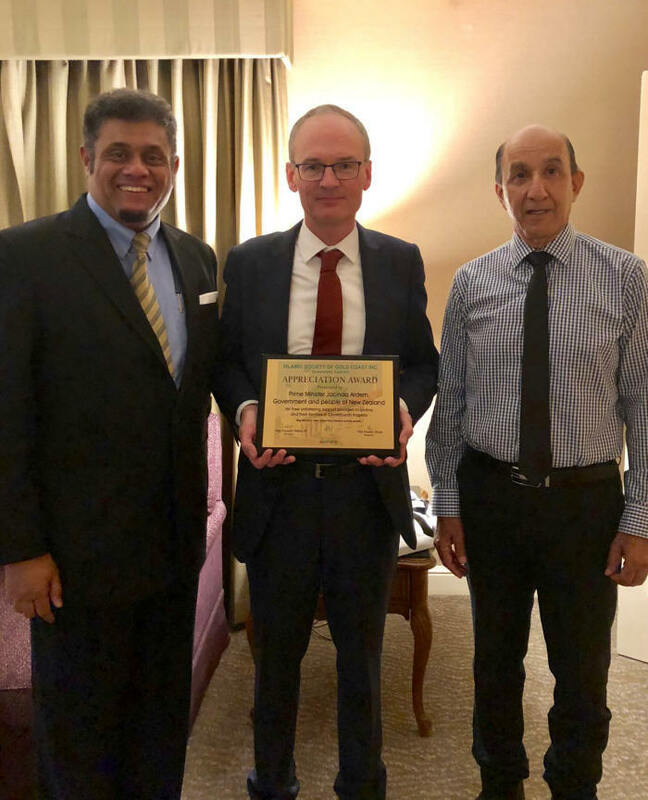 On Wednesday 3 April, the Islamic Society of Gold Coast Secretary Hussain Baba and President Hussin Goss presented an 'appreciation plaque' to New Zealand Consul-General (NSW & QLD) Bill Dobbie for Prime Minister Jacinda Arden and the people of New Zealand after the Christchurch terror attack. 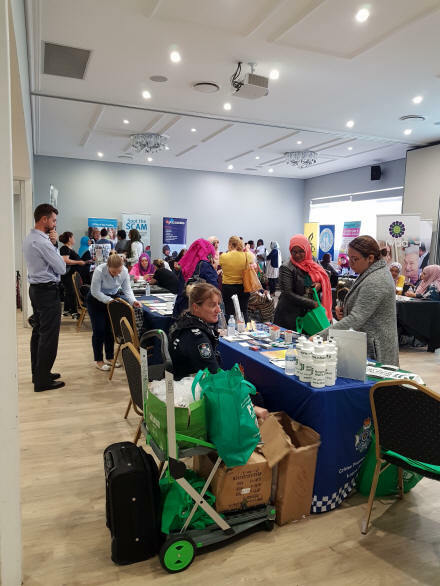 A hugely successful Community Connections Day Expo was held at IWAA. 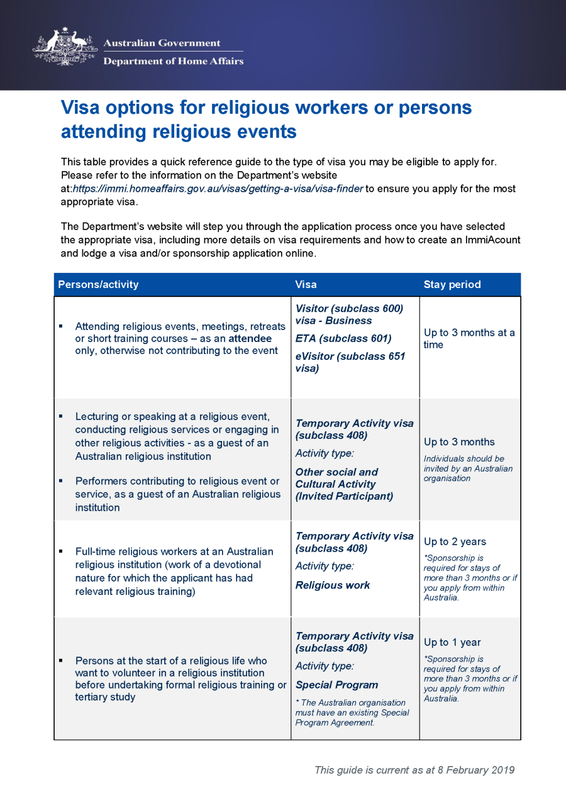 The event involved linking community members with Service Providers such as Access Inc, Amnesty International, Australian Taxation Office, Australian Federal Police, Centrelink, Hurricane Stars Club, IWAA, Msasa Montessori, Muslim Charitable Foundation, Office of Fair Trade, Refugee Association of Logan, Queensland Police Service, TAFE. It provided a great opportunity for Service Providers to network amongst each other. Thank you to all Service Providers, Community Members and Organisers for making this event a success. 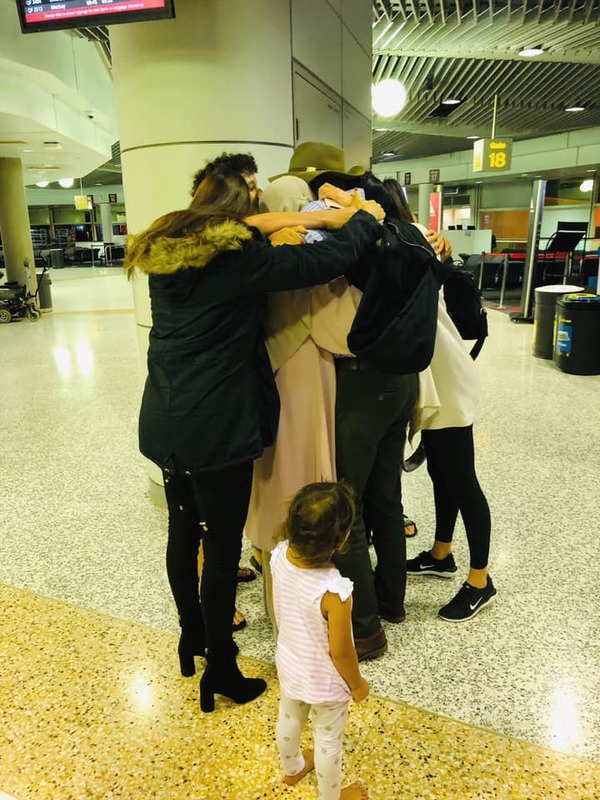 Brisbane man Hazem Hamouda finally touched down in Brisbane, after he was detained in an Egyptian prison for 433 days without charge. His daughter had just three words to describe her family's feelings upon his release: relief, elation and exhaustion. "This has been the most harrowing and traumatic 15 months that has impacted every aspect of our lives. 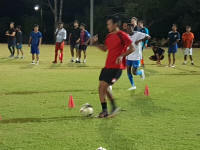 It has cost us financially, emotionally, psychologically and physically," Lamisse Hamouda told reporters in Brisbane on Thursday. 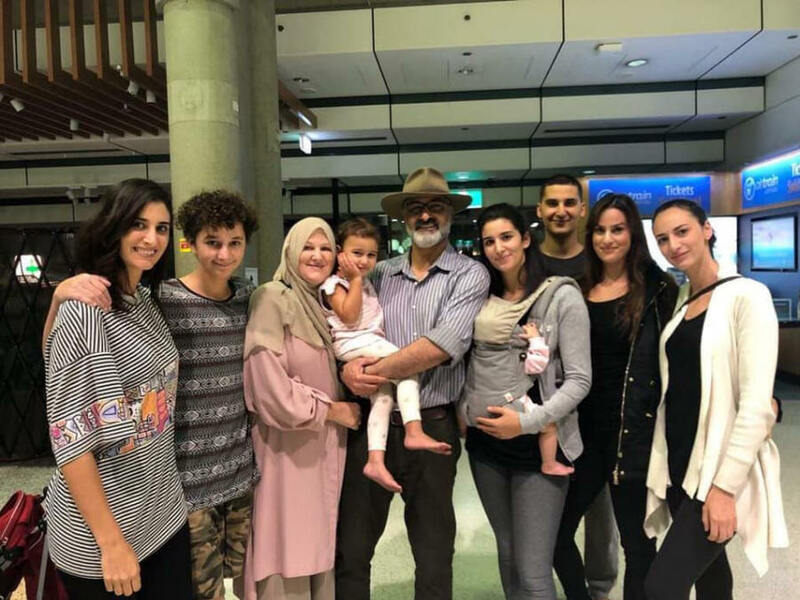 Her father was first detained in January 2018, when he arrived at Cairo airport for a holiday with his family.
" 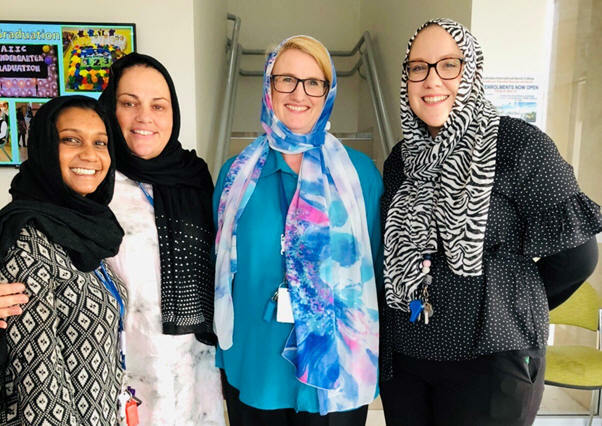 Our Australian International Islamic College is truly a wonderful place to work, as was demonstrated by the solidarity and support of all members, of all faiths of the female staff at AIIC on Friday 29 March. 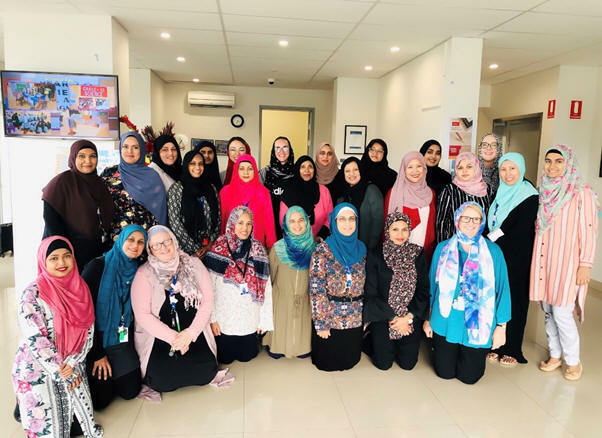 In light of the Christchurch tragedy, we all came together to wear a hijab or scarf in support of living together in peace and harmony as members of one human race." A group of women from Logan�s refugee community have celebrated a milestone as they started swimming in a public pool for the first time. 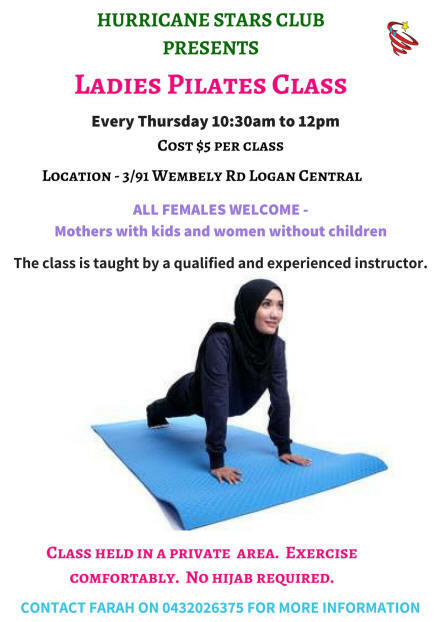 The women are learning to swim as part of a program developed by Metro South Health, in partnership with the Hurricane Stars Club, specifically for Muslim women who are new to Australia. 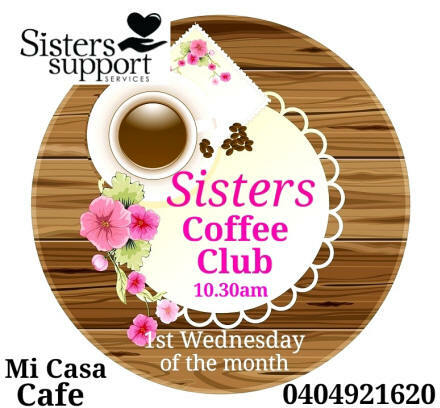 The program is coordinated by Farah Scott, the found of Club. 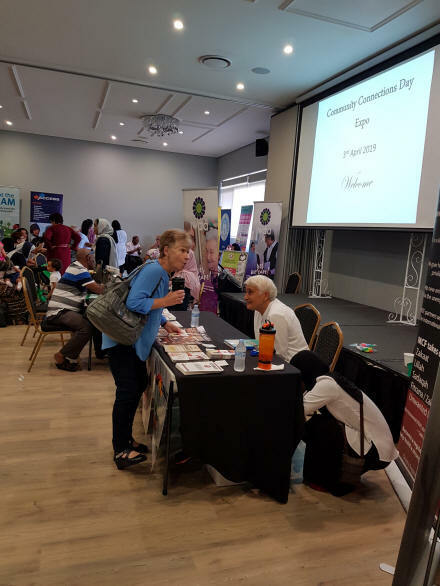 Metro South Health Access and Capacity Building Team Leader, Sue Pager, said the program aimed to support and promote the health and wellbeing of people settling in the Logan area. 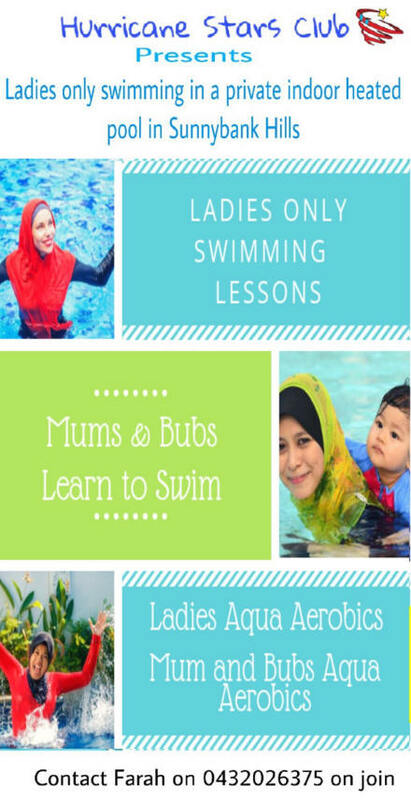 �In order to provide safe, culturally appropriate swimming lessons for these women, we removed some of the barriers to access such as swimming in a public pool and suitable swim wear,� Ms Pager said. More than 60 women have been taking lessons in a private pool with the intention of transitioning to a more inclusive setting as they grew more comfortable. �Many of these women were not given the opportunity to swim in their home countries. It took a lot of courage to take up this opportunity in a new country while acclimatising to a new culture and for many women, overcoming a fear of water,� Ms Pager said. 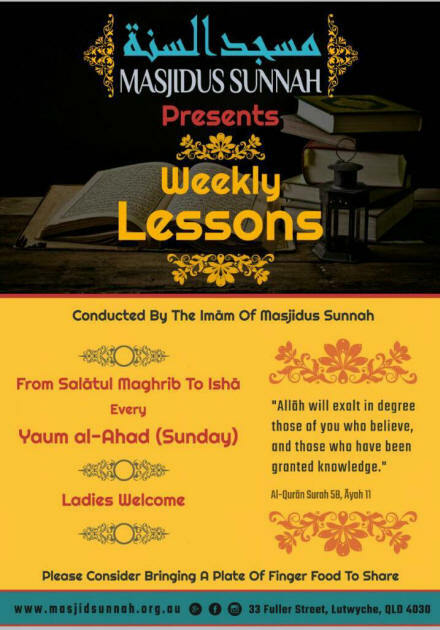 The women have described the lessons as life changing. 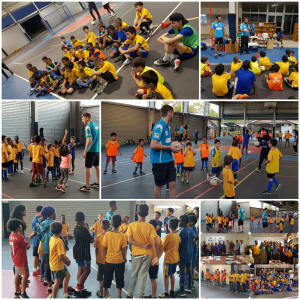 Not only have they experienced positive health benefits, the program has also opened up a range of social opportunities for them to join activities with their families and experience the Australian lifestyle. Zaireen Nisha, who arrived in Australia from Fiji in 2004, said it was an amazing initiative that gave women of all ages and cultures the opportunity to learn to swim that many had not had before in their lives. �The lessons have given us the courage to swim with our children. 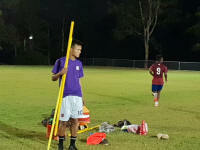 My kids have been taught to swim and they want me to play in the water with them, particularly at the beach, but before learning to swim, I was too worried to go in with them very far,� Zaireen said. 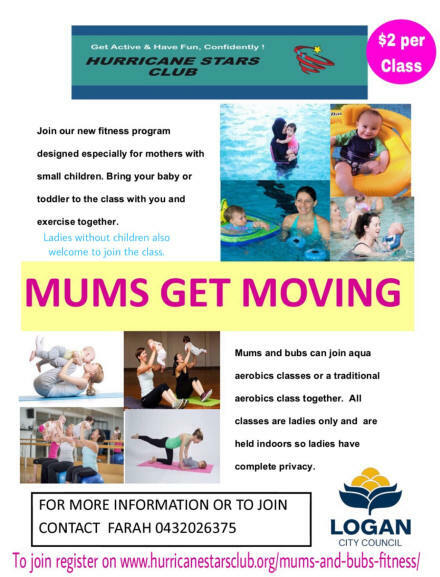 The Metro South Health swimming program is being run in partnership with Hurricane Stars Club, Logan City Council, Access Community Services, TAFE Queensland and Gould Adams Park Aquatic Centre. The Healthy New Communities program has been developed as part of the Queensland Government $10m Logan Community Health Action Plan (Logan CHAP) to improve the health of people in the region. 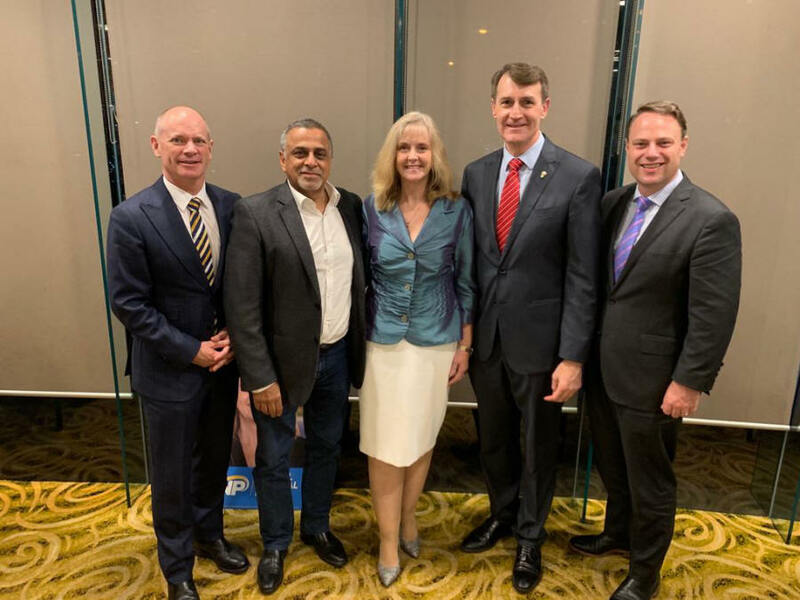 At a fund raiser for Cr Angela Owen held at the Golden lane Restaurant in Sunnybank, outgoing Lord Mayor, Graham Quirk was fondly farewelled. There were many tributes paid to Mr Quirk for his role as Lord Mayor of Brisbane over the past 8 years and his 34 years service as a Councillor. Now in retirement, Mr Quirk says he is going to follow his passion for horses and is looking to getting some acreage to breed them on. 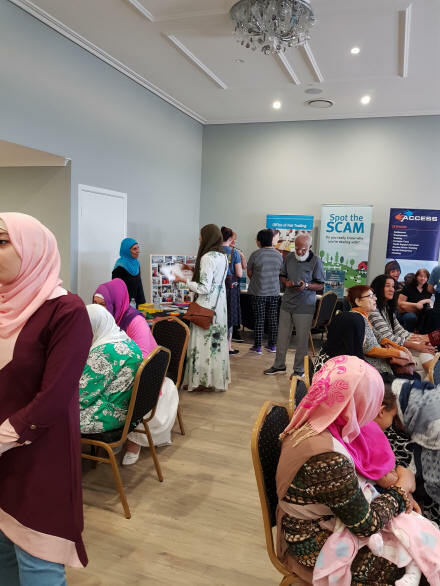 HEIGHTENED interest surrounds this year's Garden City Mosque Open Day, as residents are invited to get a first peek at the new facility under construction. 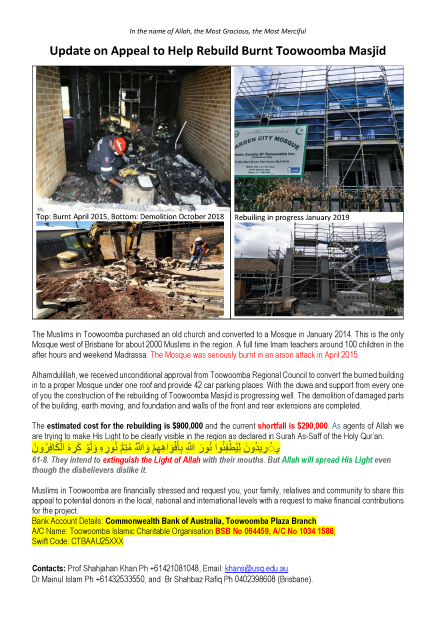 Islamic Society of Toowoomba president professor Shahjahan Khan said construction on the refurbished building was close to completion, almost four years on from the last arson attack. "We're about to reach the lock-up stage of the building," Prof Khan said. 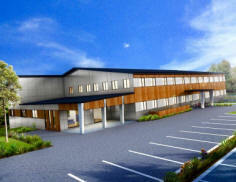 "Then we must do the car parking, carpeting, sound system, fittings and landscaping. "There is a quite bit of work left to be done." Prof Khan said the completion date depended largely on funding, however he expected the mosque to be finished in the coming months. 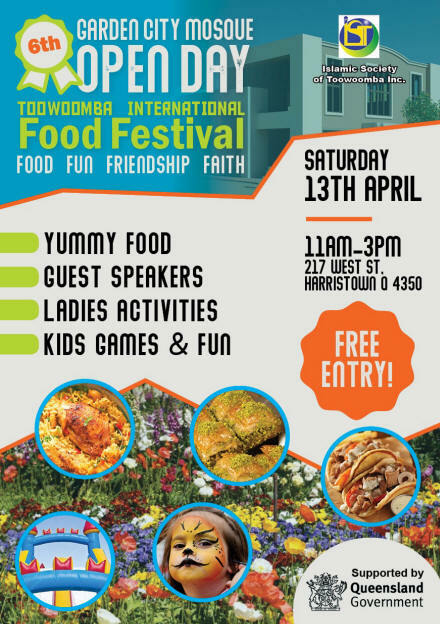 Residents will have the chance to see the new structure and show their support for the Garden City Mosque at the open day and international food festival event on Saturday April 13. "There are a few reasons which separate this year's event from those in the past," Prof Khan said. "One of them is the progress in construction. "The other is what happened in Christchurch last month. We had a lot of community members flood the mosque with flowers to show their support. "We are expecting these to increase visitor numbers this year." Prof Khan said there was also excitement surrounding this year's guest speakers, which include Australian Multicultural Foundation executive director Dr Hass Dellal, Australian Federation of Islamic Councils president Dr Rateb Jneid and AMARAH Inc founder Dr Nora Amath. The event will be held from 11am-3pm at 217 West St with all proceeds to go towards the reconstruction of mosque. 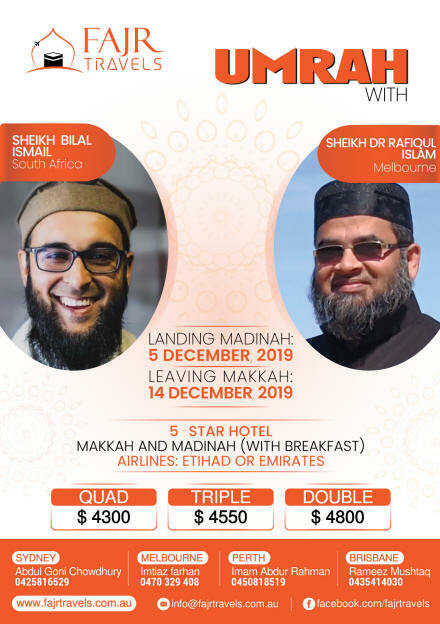 An overseas Muslim group has been lambasted for creating a competition to win a "free trip to New Zealand" to meet the families of the Christchurch massacre victims. 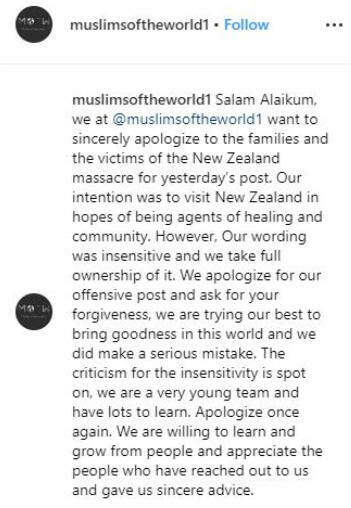 The Muslims of the World [MOTW] competition, posted to the organisation's Instagram account yesterday, has been slammed as "disgusting" by the daughter of one of the victims. 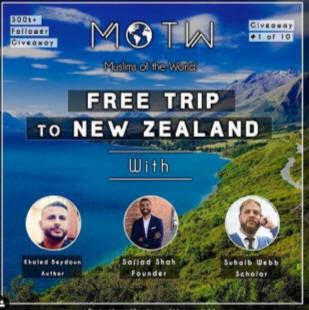 The competition post, which has now been deleted, promises a trip to New Zealand with three American Muslims, author Khaled Beydoun, MOTW founder Sajjad Shah and scholar and imam Suhaib Webb to meet the families and visit the Al Noor and Linwood mosques where 50 people were gunned down on March 15. Entry was by "following" the three men on Instagram and tagging others in the comments of the post. 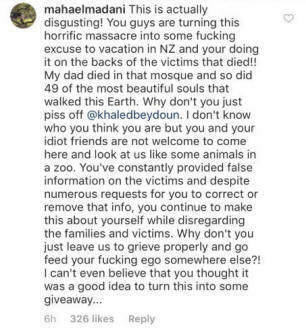 Christchurch graphic designer Maha Elmadani, whose father Ali Elmadani died in the terrorist attack, commented on Instagram calling the competition disgusting and saying she could not believe the trio thought it was a good idea. "You guys are turning this horrific massacre into some f***ing excuse to vacation in NZ and you're doing it on the backs of the victims that died," Elmadani wrote. "My dad died in that mosque and so did 49 of the most beautiful souls that walked this Earth." She told Beydoun he and his friends were not welcome "to come here and look at us like some animals in a zoo". Elmadani said Beydoun, who was criticised by New Zealand media on Twitter last week for allegedly plagiarising stories about the attacks, had "constantly provided false information on the victims". She said he did not correct information when requested but made the tragedy "about yourself while disregarding the families and victims". "Why don't you just leave us to grieve properly and go feed your f***ing ego somewhere else." The competition was also criticised on Twitter by Joseph Willits from the Council for Arab-British Understanding, who called it a "really disturbing act of voyeurism", and "incredibly crass and insensitive". This morning MOTW, which has 300,000 followers, posted an apology on Instagram. "Our intention was to visit New Zealand in hopes of being agents of healing and community," the post read. "However, our wording was insensitive and we take full ownership of it. "We apologise for our offensive post and ask for your forgiveness, we are trying our best to bring goodness in this world and we did make a serious mistake." 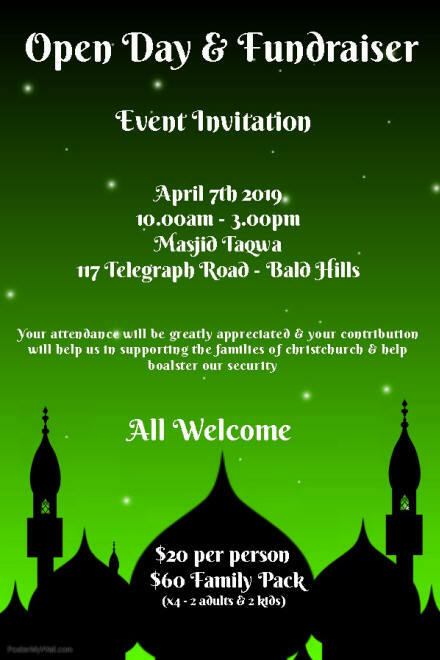 An executive member of the Masjid Al Noor in Christchurch told the Herald the mosque had not been approached by the group and she did not know anything about the competition. The woman, who did not want to give her name, called the competition insensitive. "People are still grieving and mourning. Right now people are so fragile. What's happening now is too very raw. "Especially at the moment with some people saying this is not real. We buried our friends. We washed them and we buried them. How can they ever say things like that? It is very painful for a lot of us." 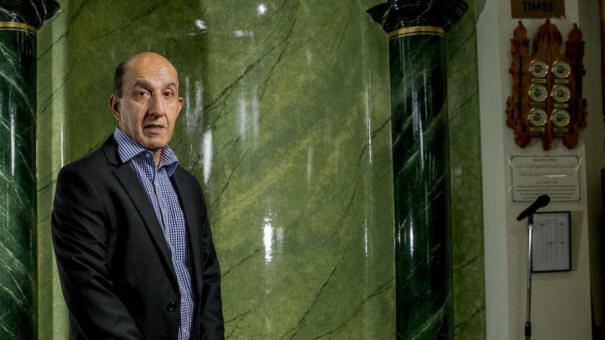 Beydoun, whose book American Islamophobia has just been published, irked New Zealand media during coverage of the attacks for copying stories and photographs without credit. 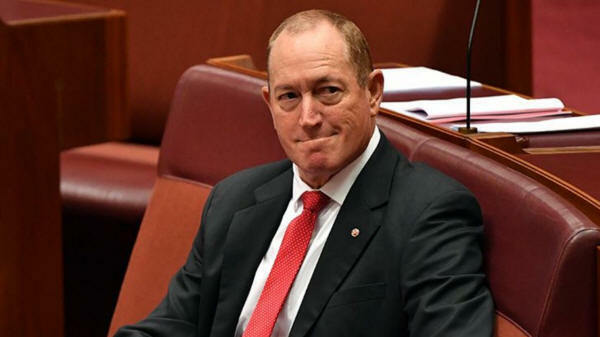 The Senate has overwhelmingly voted to censure senator Fraser Anning for his comments blaming the Christchurch terrorist attack on Muslim immigration - remarks that shocked communities in New Zealand and around the world. No senator opposed the censure of Senator Anning - and so no formal vote was recorded - although One Nation abstained and its senator Peter Georgiou criticised the "political witch-hunt" against his former party colleague. The rare bipartisan motion was brought by the government's leader in the Senate, Mathias Cormann, and his opposition counterpart Penny Wong, who jointly denounced Senator Anning's comments as "inflammatory and divisive". The Queensland senator released a statement the day of the Christchurch massacre - an attack on Muslims allegedly perpetrated by a white supremacist Australian gunman - that argued the "real cause of [the] bloodshed" was Muslim immigration. 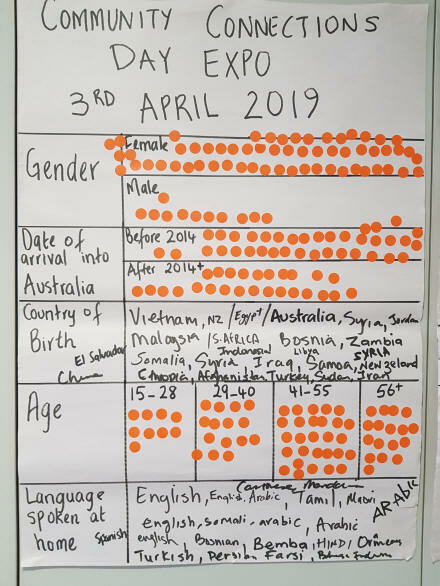 The remarks drew worldwide condemnation and a swift commitment from the Coalition and Labor to censure Senator Anning when Parliament returned. As a community, we are shattered by the recent act of terror in Christchurch. For years, we have warned against the use of racist and discriminatory language in media and politics. We warned that this creates a culture of fear and hysteria that would inevitably result in exactly this type of attack. We also acknowledge our brothers and sisters in the Indigenous community who have resisted white supremacist violence on this continent for over two centuries. We owe it to the victims of this massacre to bear witness to the truth of why they died. Their deaths cannot be used to whitewash the reality of how this occurred. While our political leaders have expressed sympathy over the deaths of our brothers and sisters, there has been little responsibility taken for their own role in creating a political climate that has demonised the Muslim community for decades. Sadly, we remember the numerous times the Coalition have used the Muslim community as targets in vicious debates around immigration, multiculturalism and national security. We remember when Liberal Party Senators lined up to kiss, hug and shake hands with Pauline Hanson � a woman who has referred to Islam as a �disease� � following her openly Islamophobic return speech to Parliament. We remember when Liberal Party Senators openly congratulated Fraser Anning after his explicit reference to a �final solution� when discussing Muslim immigration. We remember when Peter Dutton suggested that sections of our community should never have been allowed into this country in the first place. This climate of hostility breeds discrimination, harassment and ultimately violence. A truly safe society is one where no community should fear that they will be made scapegoats or demonised for the sake of cheap political point-scoring. If our leaders are truly committed to building a society where our community can live in safety, they must make real assurances that they will not resort to this language of racism and division. Sara Mansour (left) with Amal Kassir. 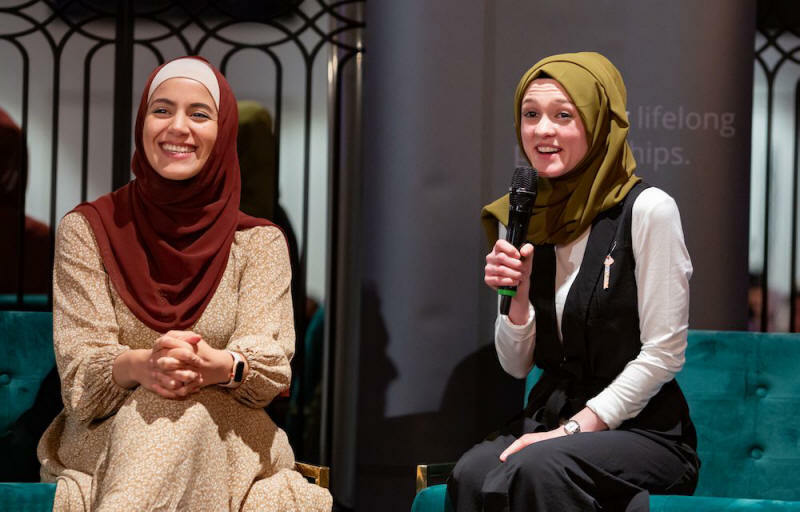 International speaker and spoken word poet Amal Kassir together with local artists created a magical atmosphere of love and harmony in the cultural hub of Western Sydney on Saturday 30 March 2019. 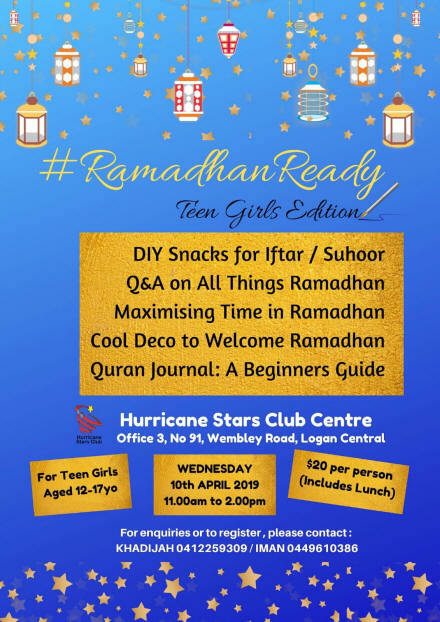 The local speakers included hijabi ballerina and Converse global brand ambassador Stephanie Kurlow, Unity Grammar spoken word finalist Nahida Hafza, African refugee and poet Roje Ndayambaje, lawyer and Bankstown poetry Slam co-founder and Auslan sign language specialist Mevlut Cet. The event, hosted by Unity Grammar in cooperation with Bankstown Poetry Slam was organised by Rahaf Ahmad from Whiteflame Strategy and attracted a full house of more than 400 people including celebrities like Hazem El Masri and future 2022 Olympian Amar Hadid. Amal Kassir is a Muslim Woman, born and raised in Denver, Colorado, to a German American Mother and a Syrian Father. She is an International speaker, spoken word poet and TEDx presenter having performed in 14 countries and over 45 cities. She has conducted workshops, given lectures and recited her poetry in venues ranging from youth prisons to orphanages to refugee camps to schools and universities to churches to community spaces and even the United Nations. 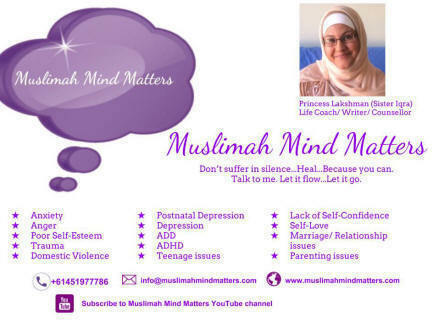 Her TEDx Talk �A Muslim on the Airplane� and other talks on YouTube have attracted millions of views! 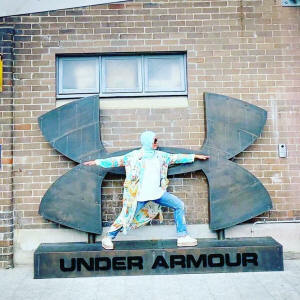 "I spent the year trying to be more intentional in taking public transport and being in the community, wearing some traditional attire and listening and observing as much as possible," he said. The father of four told Nadia Mitsopoulos and Russell Woolf on ABC Radio Perth that the experience was like "walking around with a red flag on you". "I got a lot of facial expressions ... a lot of questions; you just get noticed a lot more. "Some people would talk a little bit slower and a bit clearer because I might not understand � others will cross the street. "There were different experiences through the year when I definitely felt uncomfortable and was made to feel uncomfortable." Mr Khaira said people he encountered were surprised when he began speaking in a broad Australian accent. He said the most confronting experience occurred during an after-school visit to the supermarket to buy a barbecue chicken. "I had someone tell me to go back to where I came from, while I had my younger daughter with me. "She was quite confused, asking why is this person speaking to dad this way, we don't even know him. "All I could say to her was, 'he's just scared, it's OK'." Mr Khaira decided to stay calm and respond with humour. "I just said: 'As soon as I get my chicken I am planning on going home, I've just come to get my chook'. 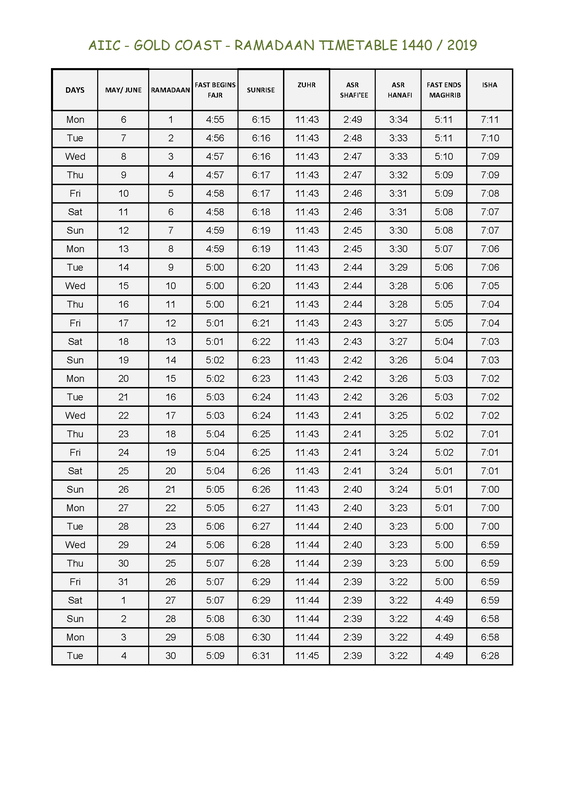 Send your Mosque's Ramadan Timetable to admin@ccnonline.com.au for inclusion here. 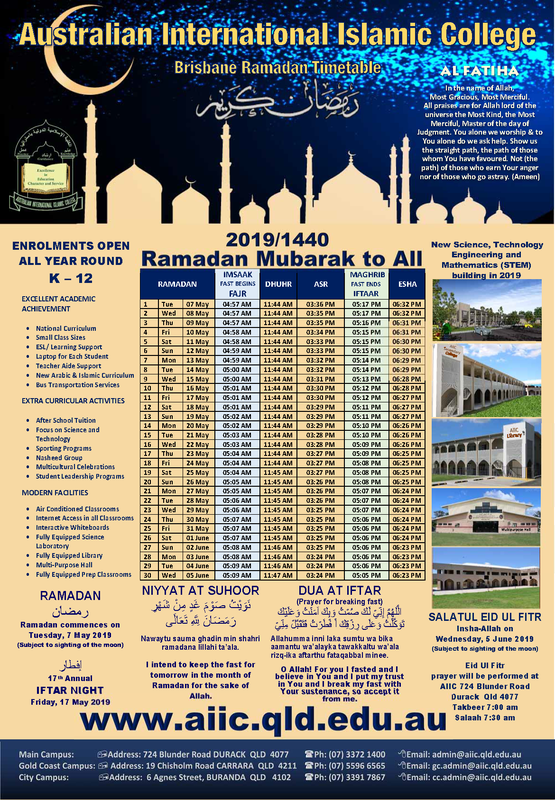 Send your Mosque's Ramadan Programme to admin@ccnonline.com.au for inclusion here. Dr Shafi Ahmed is a surgeon, teacher, futurist, innovator, entrepreneur and a specialist in augmented and virtual reality. He is a laparoscopic colorectal cancer surgeon at The Royal London and St Bartholomew�s Hospitals and has been awarded the accolade of the most watched surgeon in human history. In May 2014, using Google Glass, he performed and streamed a live interactive operation to 14,000 students and trainees across 132 countries and 1,100 cities. Two years later on April 14, 2016, in collaboration with Barts Health, Medical Realities and Mativision, he performed the world�s first virtual reality operation recorded and streamed live in 360 degrees. This was viewed by 55,000 people in 140 countries and 4,000 cities and reached 4.6 million people on Twitter. There were over 200,000 downloads on Youtube. On December 9, 2016, he performed the world�s first live operation using Snapchat Spectacles where he trained 200 medical students and surgical trainees, which has been viewed over 2 million times. Professor Bashir Mohammed Ali Al-Hashimi, CBE is recognised as an outstanding academic leader and a highly influential figure in the UK Higher Education sector. 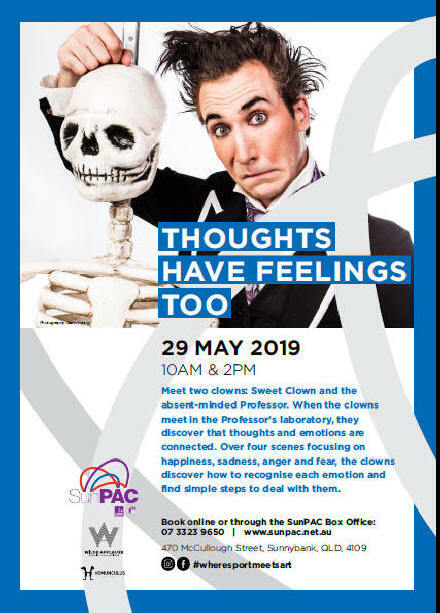 He is Dean of the Faculty of Engineering and Physical Sciences at the University of Southampton, which is the largest UK engineering faculty with 700 staff, 8,000 students and a turnover of �160m. He is the only Dean of Faculty within the UK Russell Group of universities from a BAME background. Under his leadership, his faculty has realised significant academic business growth. 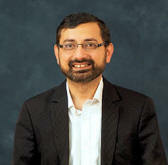 Bashir is known for his research on low-power electronics, particularly energy-efficient processor design and testing. He has made fundamental scientific and engineering contributions that contributed significantly to the vision of mobile digital devices becoming an integral part of people�s lives. Professor Muhammad Ali Imran received his MSc (Distinction) and PhD degrees from Imperial College London, UK, He is a Professor in Communication Systems in the University of Glasgow, Vice Dean of Glasgow College UESTC and Director of Communications Sensing and Imaging labs. He is also an Affiliate Professor at the University of Oklahoma, USA and a visiting Professor at 5G Innovation Centre, University of Surrey, UK, where he worked from 2007 to 2016. He is a Fellow of IET, Senior Fellow of Higher Education Academy and Senior Member of IEEE. Imran has led a number of multimillion-funded international research projects encompassing the areas of Engineering and Technology (energy efficiency, fundamental performance limits, sensor networks and self-organising cellular networks). He has secured funding from international research councils and direct industrial funding from leading industries in communications, including Huawei, Sony, Fujitsu, IBM, DSTL and British Telecom. Editors' Introduction (Vol 3 No 3 2018): The history of Islam within Australia is an important, yet often overlooked, part of Australian history. 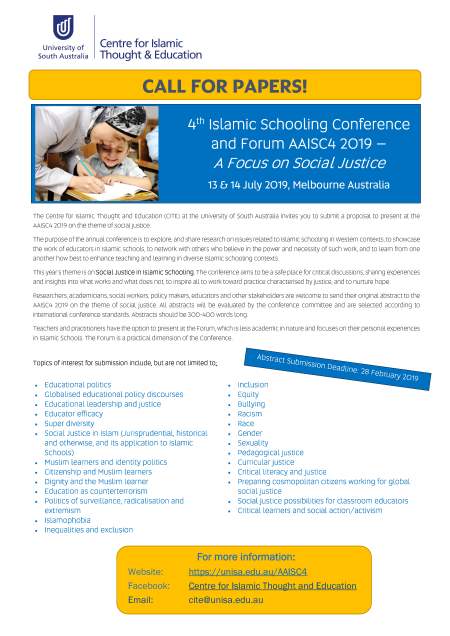 Muslim presence in Australia has helped shape multicultural experience facilitating intercultural dialogue as well as contributing significantly to the development of the Australian nation. However, to date, it has received minimal scholarly attention. There have been significant studies on the engagements of the Maccasans, Muslim fishermen from Indonesia, with the Indigenous peoples of northern Australia. These studies have detailed the cultural interactions and trade between them and the lasting impacts of the inclusion of language foreign to Australian soil. There is also an increasing awareness of Australia�s cameleers, many of whom were Muslims, and the contribution they made to maintaining trade routes and assisting early Australian explorers. 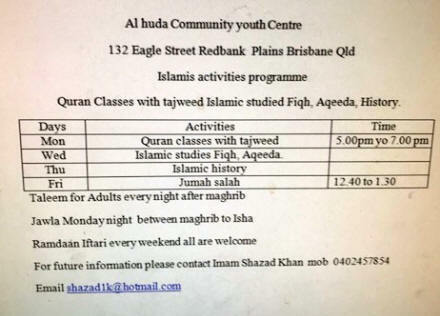 Despite the growing interest in the field, the history of Islam in Australia remains an understudied area of research. This rich history dates back further than we thought and has possibly had a greater impact than what is recognised. Given the current political and social climate surrounding Islam globally, it is timely that this volume of the Australian Journal of Islamic Studies is published. This volume brings to light the depth and richness of Australia�s Islamic heritage, challenging some of the prevalent assumptions on the topic, and calls for further studies in this field. Australia has proclaimed itself as being a successful example of a multicultural society. It is a society that has been shaped, and continues to be shaped, by a diverse range of cultural inputs. With this being the case, it is justifiable to ask how and why the contributions of Muslims to Australia have been largely overlooked. 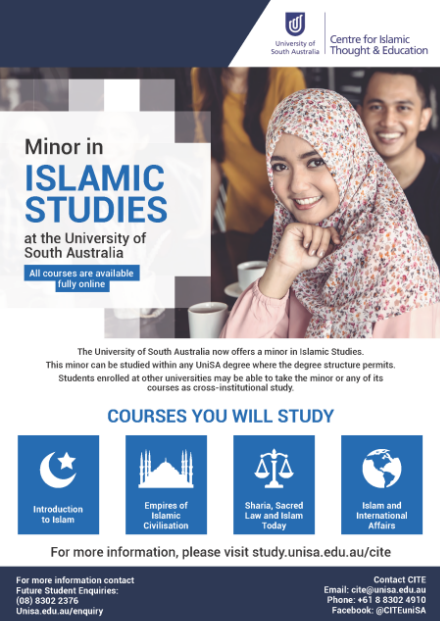 Over the weeks, CCN highlights extracts from the Australian Journal of Islamic Studies which is an open access, double-blind peer-reviewed journal dedicated to the scholarly study of Islam. 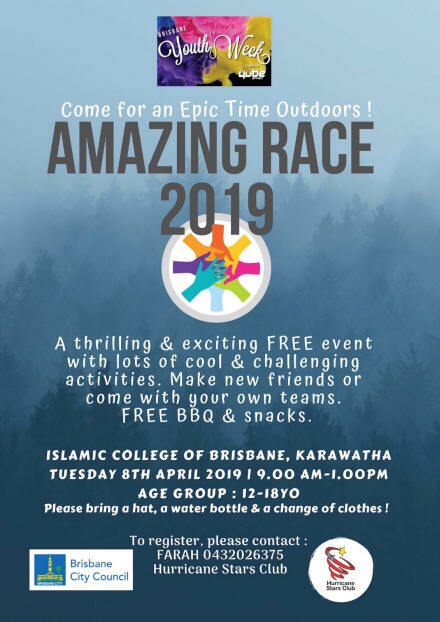 Since the 1980s,much has been made about the lives of Australia�s first Muslim settlers, the �Afghan cameleers�, their pioneering achievements and the suffering they endured through Australia�s discriminatory policies and immigration laws. 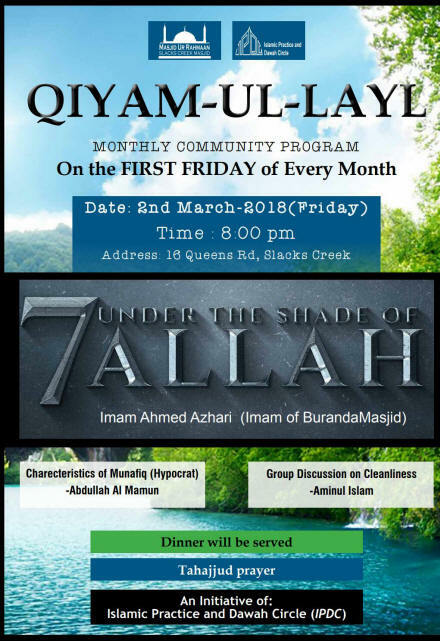 However, little, if any, academic attention has been given to the converts to Islam during this same period, many of whom were striving to rid the Australian public of misconceptions surrounding their new faith to end this discrimination and ignorance. This article briefly looks at the way Australia�s news media presented and perceived Australian Muslims from the arrival of the first cameleer settlers in the 1860s to the first few decades of the twentieth century when �White� converts were increasing and unwittingly propelling Islam onto the public stage. While protectionist policies, particularly leading up to Federation, saw numerous unfavourable images of �coloured� Muslims in the Australian print media, there was a subtle but significant change at the turn of the twentieth century. 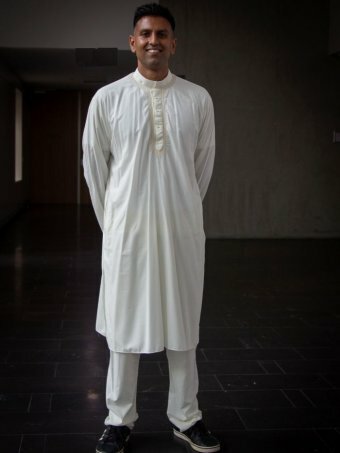 While the White Australia Policy stood in the face of Australia�s Asiatic Muslims, it was largely irrelevant to the growing number of European and Australian converts who sought to subvert it in order to lift the Australian Muslim community of which they were part. 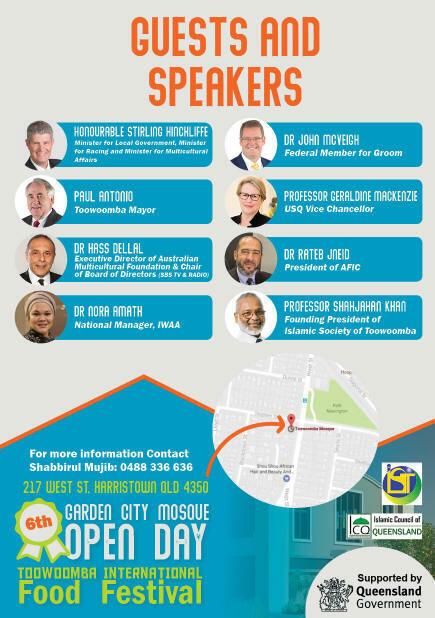 ONE of the city�s most powerful Muslim leaders says �donkeys� such as Pauline Hanson and Fraser Anning are �putting petrol� on anti-Islam hate � and the Federal Government is responsible for allowing it to happen. Hassan Goss, the president of the Islamic Society of the Gold Coast, says he is tired of �Hanson�s BS� and the �lies� from people online. 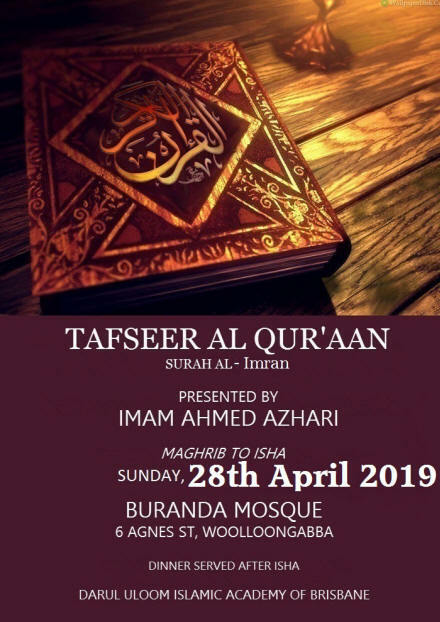 He opened up this week about the massacre in Christchurch, where a white supremacist stormed two mosques killing 50 people, ahead of an open day at the Gold Coast mosque at Arundel tomorrow. �There is no doubt about it, especially in this climate now,� said Mr Goss about racism and anti-Islamic sentiment. �I am not even saying since Christchurch, I am talking about going back 15 years. All the Pauline Hanson, One Nation BS,� he said. �The Federal Government have a lot to answer for, allowing this ridiculous person to mouth off and throw words out there in the community. �People listen to that crap and see what happens, Christchurch is part of the product. �No doubt there are donkeys that use the Islam as an excuse to further their own agenda. �We accept that and work closely with ASIO and the federal police to get rid of the rubbish. Mr Goss said the online rhetoric hit closer to home. �Honestly, I am more than sad. We have a big problem putting people with those views in a position of power hoping they will just fade away. �You see the comments online, you see the lies what people think. What can you do? 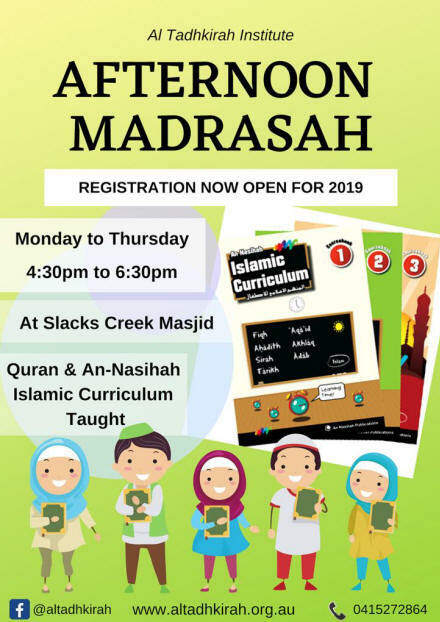 Mr Goss said the Muslim community had been touched by the response from Gold Coasters in the wake of the Christchurch tragedy. �There has been a beautiful outpouring here at home. Over 100 people turned up to the service the week after Christchurch in support. All flowers were then donated to the Gold Coast University Hospital. Mr Goss, whose family have lived in the Labrador area for more than 100 years, wants to remove any air of mystery surrounding his religion. 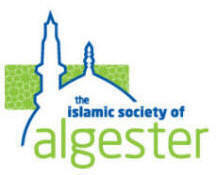 �There are no secrets in Islam, there is no mystery behind that green fence at Arundel. A full-time businessman, Mr Goss took on an active role in the society before the first mosque was built on the Coast. His father, a fruiterer, held the first hawkers licence in the city and sold fruit and vegetables door to door. As the families grew, so did their need for a collective place of worship. 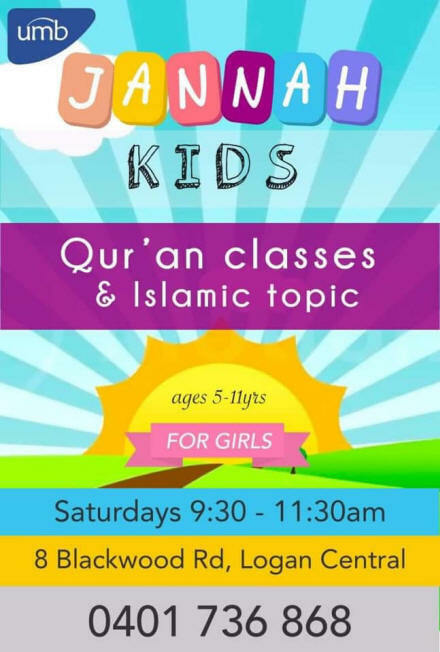 By 1984 the Gold Coast Islamic society was born. 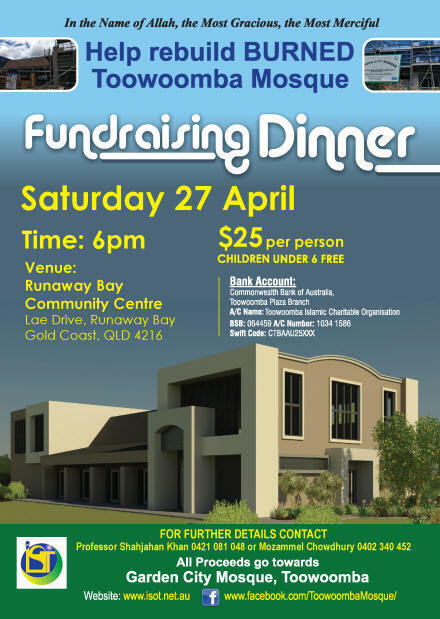 By 1995 the mosque in Arundel was finished in the middle of what Mr Goss describes the �Bible Belt� of the Gold Coast. Mr Goss said the fastest growth area in the past two years had been among Anglo Australians. �Blue eyes, blonde hair, people who have studied the Koran and have decided to convert has increased tenfold. Mr Goss has put some of the ease in the conversion down to the similar links between the Abrahamic faiths. 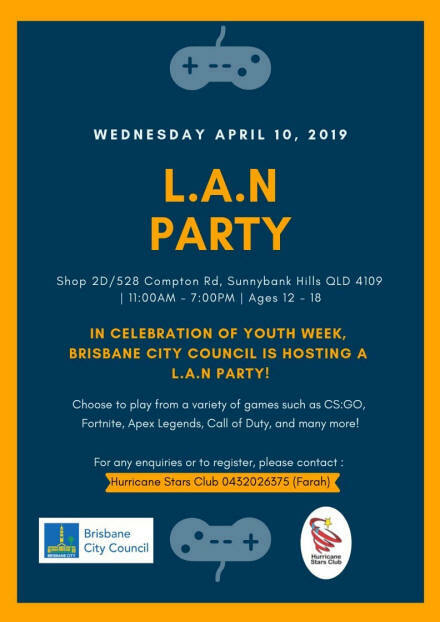 The society will open their doors to the Gold Coast community tomorrow. 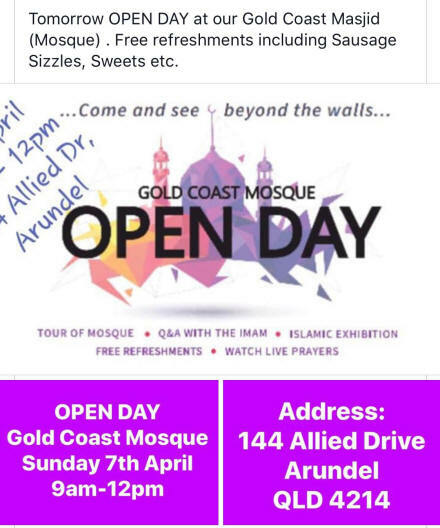 The open day, between 9am-noon at 144 Allied Dr, Arundel, includes a tour, Q&A with the Imam, an Islamic exhibition and free refreshments. 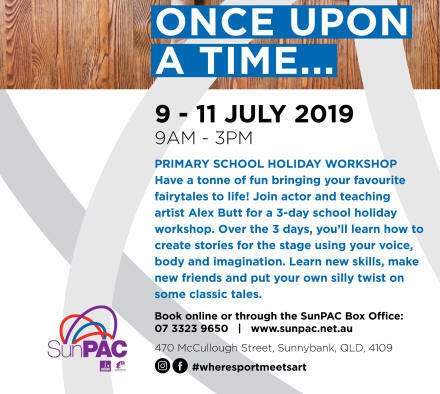 �We are always open to the community, but the open day allows us to take people on tours and have someone there ready to answer questions,� Mr Goss said. 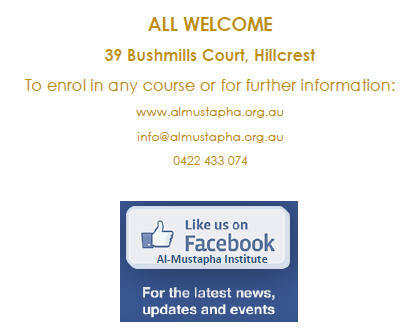 �We welcome anyone who is curious about what Islam is or just wants a look in the building. 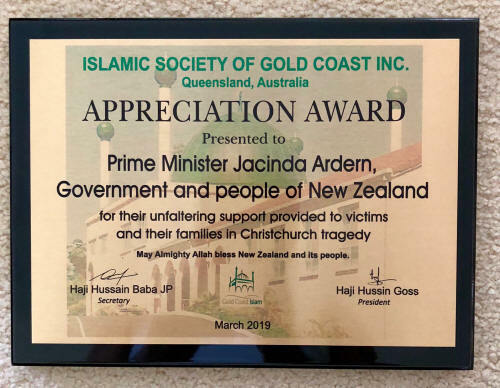 The Islamic society of the Gold Coast has presented an appreciation plaque to New Zealand Prime Minister Jacinda Ardern and the people of New Zealand for their �unfaltering support provided to victims�. Why is Everything FREE in Pakistan? Fact: I came to Pakistan and I haven't spent any money. Because nobody will let me. Seriously. This is the world's best hospitality, by a long shot. Anywhere I go in the world, I always insist on paying -- whether it be for dinners, gifts, taxi rides, experiences, you name it. But the people here in Pakistan (aggressively) won't let me pay. It's insane!! A powerful message from a man who once planned to blow-up his local Mosque. He reveals what changed his mind and heart, and lead him instead down the path of peace and acceptance. A mother of one of the victims of the Christchurch mosque terrorist attack finds her son�s car parked close to the mosque 10 days after her son passed. 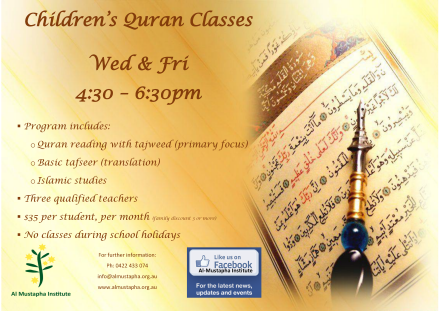 A recitation of the Qur'an! The man behind the viral photo in last week's tragic Christchurch Terror Attack speaks out. Words of power and strength! Khaled Al Jamali, originally from Gaza, states that he was not awake at the time the photo was taken of him lifting his index finger in Shahadah. The index finger in Islam represents the unity of God and monotheism. The photo resonated with millions of Muslims around the world who saw the captured moment as a sign of strength and resilience in the face of terror. Al Jamali also clarifies the rumours spreading that the photo was of the deceased Mohsen Al Harbi from Saudi Arabia. Al Harbi was in fact a very close friend of Al Jamali who was killed in the terror attack. 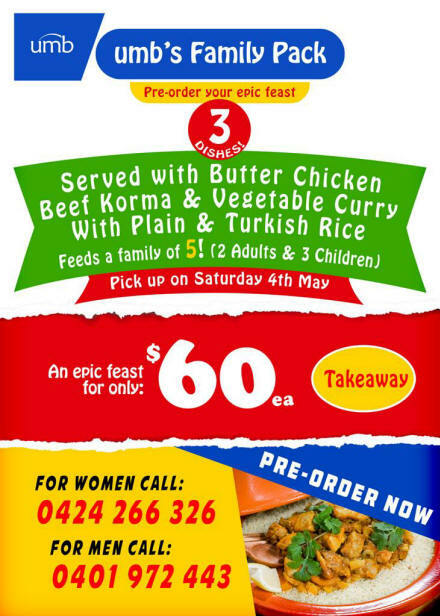 In the longer timelines of Australian history, Muslim people have a little known story. This video history seeks to explore the story, in the footsteps of the ancestors. Exploring Australia's first interaction with Muslims, the Macassans who travelled and traded well-prior to European settlement, the documentary chronologically navigates the milestones for the Muslim community post-European settlement. 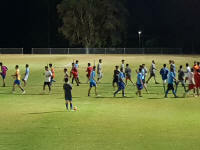 The film captures the ethnic, linguistic and cultural diversity of Muslims down under, and tells the stories of Muslim pioneers and their descendents, beginning with the pivotal, fundamental role the Afghan camel herders played in the development of outback Australia, to the successful integration Muslims have made into modern Australian society, incorporating and engaging at all levels, and in all spectrums of the community. 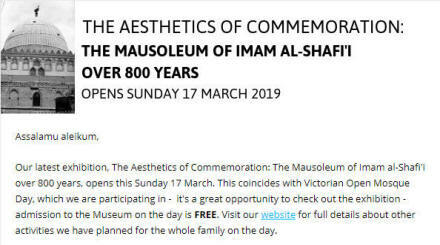 The documentary encourages a greater effort in understanding and appreciation of Islam and Muslims where sharing knowledge, and sharing stories, is one of the most important ways of building a genuine sense of community in Australia. It strengthens the belief in fairness, equality and respect, the values we aspire to in Australia. 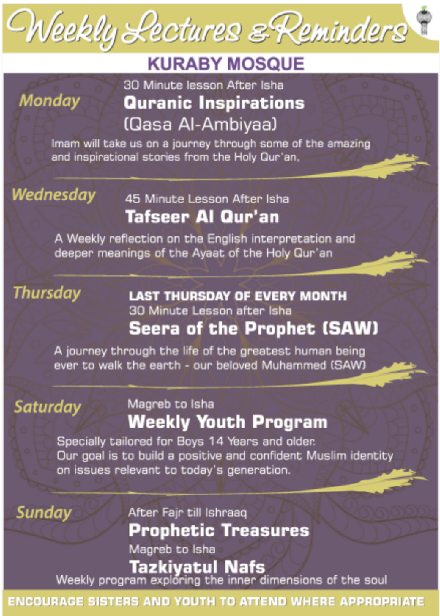 TOPIC: "Muhammad (pbuh)'s Miraculous Journey of Isra & Miraaj. 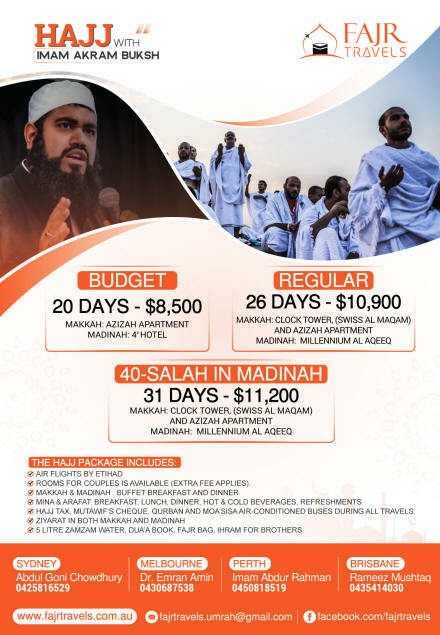 Reflections & Lessons"
TOPIC: "Three Gifts of the Night Journey"
TOPIC: "Is the Masjid on our bill payments list?" BRUNEI: Politicians, human rights groups and celebrities have called on Brunei to abandon plans to introduce severe laws that would see LGBT people whipped or stoned to death. Amid global criticism over the Islamic laws, which will take effect on Wednesday, the Brunei prime minister�s office defended the decision to introduce the death penalty for people found guilty of homosexual acts or adultery. �The (Sharia) Law, apart from criminalising and deterring acts that are against the teachings of Islam, also aims to educate, respect and protect the legitimate rights of all individuals, society or nationality of any faiths and race,� it said in a statement. The laws, as part of the country�s interpretation of Sharia Law, also introduce amputation of the hands or feet as punishment for robbery, according to an announcement by the country�s attorney general. Clooney has demanded a boycott of exclusive hotels owned by the Sultan Of Brunei, three of which are in the UK including London�s The Dorchester and 45 Park Lane. John, who married husband David Furnish in 2014, has joined Clooney in calling for a boycott, saying he has �long refused� to stay at the hotels. 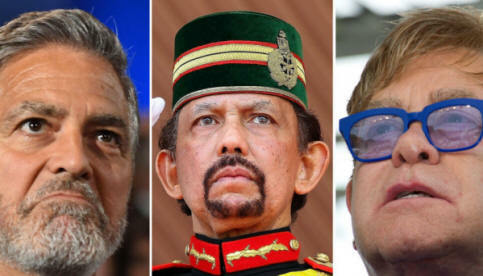 �I commend my friend, #GeorgeClooney, for taking a stand against the anti-gay discrimination and bigotry taking place in the nation of #Brunei � a place where gay people are brutalised, or worse � by boycotting the Sultan�s hotels. �Our hearts go out to the good, hardworking employees of properties owned by the Sultan of Brunei, many of whom we know to be gay. 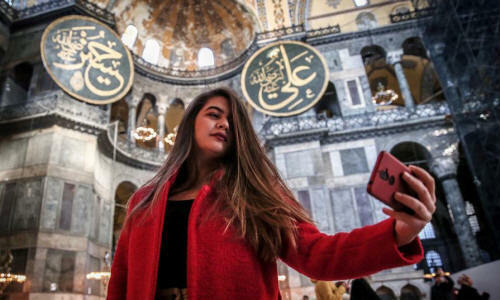 A visitor takes a selfie at the Hagia Sophia as part of �Museum Selfie Day� in Istanbul, Turkey on January 16, 2019. Turkish President Erdogan has pledged to convert the museum, originally a cathedral, into a mosque. TURKEY: On Monday, as Istanbul awoke to a contested election result between the Islamist party of the President and the secular party of the founder of the Turkish republic, another contentious dispute hung over the metropolis: the fate of the Hagia Sophia. The Hagia Sophia, the most famous landmark of modern Istanbul, is also a testament to the city�s Christian past. Istanbul, formerly Constantinople, was the capital of the Roman and Byzantine empires, and the seat of the Eastern Orthodox Church. When the troops of Turkey�s Mehmed II marched into Istanbul in 1453, the Ottoman sultan ordered the cathedral be converted into a mosque. Church bells were torn down while the iconostases, walls of icons and religious paintings, were destroyed, along with all mosaic paintings of Christ. Mehmed II�better known as Mehmed the Conqueror�introduced Islamic features into the historic church, including a mihrab indicating the direction to Mecca, a minbar (pulpit) and four minarets. President Recep Tayyip Erdoğan�inspired and obsessed by his country�s Ottoman past�was probably thinking of Mehmed II when he pledged on March 27 that the Hagia Sophia would be become a mosque again, 83 years after it was �secularized� and converted into a museum. The pledge immediately drew criticism from the rival Republican People�s Party, the CHP. �What difference would it make to label [Hagia Sophia] as a mosque when its function will remain as a museum? [Erdoğan�s] aim is to court votes through this,� said CHP leader Kemal Kılı�daroğlu. Gideon Levy, Haaretz columnist and member of the newspaper�s editorial board interviewed. DUBAI: The world' first 'Al Quran Park' opened in Dubai's Al Khawaneej area on Friday, it will provide the visitors a chance to learn about miracles mentioned in the Holy Quran. The main objective of establishing the park is to provide bridges of intellectual and cultural communication with different cultures, religions and peoples to see the cultural achievements of Islam in the field of plant ecology. 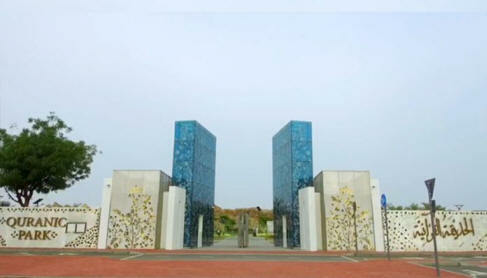 The park, which covers a wide area of 60-hectare, has all available plants mentioned in the Holy Quran along with facilities such as an attractive main entrance, an administration building, an Islamic garden, children's play areas, Umrah corner, an outdoor theatre, areas for showing the miracles of the Quran. A desert garden, a palm oasis, a lake, a running track, a cycling track and a sandy walking track are also constructed in the park. A day before inauguration, The Dubai Municipality had announced that it will inaugurate the Quranic Park on March 29. The entry to the park will be free for all visitors. The park has about 54 plants, which mentioned in the Holy Quran, including fig, pomegranate, olive, corn, leek, garlic, onion, lentil, barley, wheat, ginger, pumpkin, watermelon, tamarind, seders, vineyards, bananas, cucumbers and basil. I also has fountains, bathrooms, a glass building, a desert garden, a palm oasis, a lake, a running track, a cycling track and a sandy walking track. This book presents an in-depth exploration of the administration of justice during Islam's founding period, 632-1250 CE. 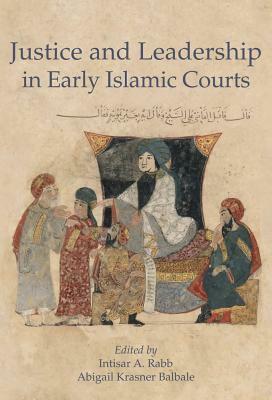 Inspired by the scholarship of Roy Parviz Mottahedeh and composed in his honour, this volume brings together ten leading scholars of Islamic law to examine the history of early Islamic courts. This approach draws attention to both how and why the courts and the people associated with them functioned in early Islamic societies: When a dispute occurred, what happened in the courts? How did judges conceive of justice and their role in it? When and how did they give attention to politics and procedure? Each author draws on diverse sources that illuminate a broader and deeper vision of law and society than traditional legal literature alone can provide, including historical chronicles, biographical dictionaries, legal canons, exegetical works, and mirrors for princes. Altogether, the volume offers both a substantive intervention on early Islamic courts and on methods for studying legal history as social history. It illuminates the varied and dynamic legal landscapes stretching across early Islam, and maps new approaches to interdisciplinary legal history. The book brings together ten leading scholars of Islamic law who draw on diverse sources for judicial practise and procedure � use of evidence, use of knowledge of a judge regarding a case he is judging. It also looks at the independence of the judiciary, how it managed to make a judgement when the ruler was a plaintiff, etc. It gives a really fascinating account of the way the judges made decisions of various cases and in some instances even making jokes in the court. The chapters are divided into three parts: �Judicial Procedure and Practice during the Founding Period of Islamic Law�, �Concepts of Justices in the Abbasid East�, and �Judges and Judicial Practice in the Islamic West.� The first chapter deals with the early period from 632 to 750. The four essays focus on how social and pragmatic factors shaped judicial discretion to determine the admissibility of evidence from non-Muslims and professional witnesses. The second chapter covers the period between 750 to 1258. The three essays look at how scholars attempted to integrate changing legal and political ideals of justice especially in changing social and pragmatic factors. 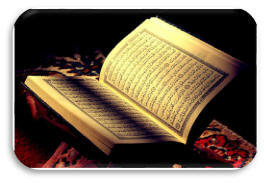 The third chapter deals how judicial process developed in the Islamic West during the same period of time. They highlight tensions between idealised legal concepts elaborated in legal treaties and actual legal practices and norms as they played out in courts. The book was inspired by the scholarship of Roy Parviz Mottahedeh and composed in his honour. This book is a refreshing look on the history of Islamic law as it looks at the court proceedings in a novel way in the early Islamic period. It is also easy to read and a very useful contribution to the understanding of the practice of Islamic law. I highly recommend this valuable book. KB says: Perfect as an entr�e or with salad as a light lunch on a Sunday or during the holidays coming up. 2 tins Tuna, any flavour but I prefer the mustard. Beat together eggs and milk and add remaining ingredients. Set half the mixture in an oven proof casserole dish, layer with the chopped spinach and top with remaining half of the mixture. Sprinkle with slivered almonds, sesame seeds or poppy seeds or a mixture of all of the above, dot with butter and bake at 180degrees until light brown. 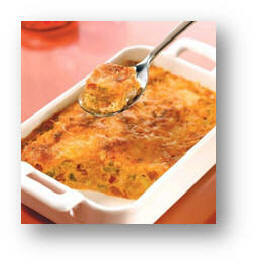 Cut into squares and serve hot with a sauce or lemon wedges. 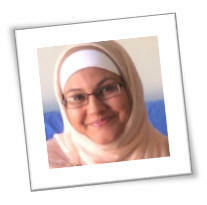 Q: Dear Kareema, I�m fairly new to the gym but like the sound of HIIT sessions. Is it ok for beginners as well? A: HIIT is high intensity interval training. Like any exercise, start easy, work to your own limits and push at your own pace. So yes, it�s a great workout for all fitness levels. Modify as you go but make sure to challenge yourself. You�ll stay more motivated and remain free from injury. There is a significant difference in the words Loyal and Faithful. Loyal means to stay true to a particular group or cause to which one belongs. For example, being loyal to the constitution of your country, being loyal to your marriage, being loyal to your family traditions and culture. In times of need, it is your loyalty that fuels your passion to fight for the survival of the group or cause to which you belong. Loyalty does not focus on whether the intentions of the group or cause are righteous. Loyalty only focuses on allegience. Faithful means to harbour and show unconditional love, trust, honesty in a personal relationship with someone or with your creator. For example, having unconditional love, trust and honesty in your relationship with ALLAH. Another example is when you have unconditional love, trust and honesty with your spouse. Being faithful revolves around your feelings, unlike being loyal which revolves around terms and conditions set by the senior members of the group. Being loyal is NOT the same as being faithful. And this is where you as a Muslim, must reflect on your personal choices and deeds and find clear distinctions between where you are being faithful and where you are being loyal. A deeper self-reflection would enable you to understand where your choices to be loyal may be getting in the way of you being faithful to ALLAH. Loyalty does not focus on whether the intentions or deeds carried out by the group (country, family, sect) you are loyal to are righteous. 1. Make a list of all the groups and causes that you have loyalty towards. For example, your family, your in-laws, your country, your mosque/imam, your school/ college/ committee. 2. 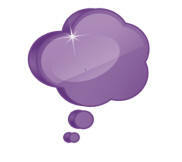 Beside each group, write down the values and beliefs of that group. 3. Now take each of these values and beliefs and answer Yes or No to the question: Is this value or belief in alignment with ALLAH�s commandments? Once you have a clearer idea on how your loyalty is affecting your faithful relationship with ALLAH, you will make better decisions so that your own thoughts, words and deeds are ALWAYS in alignment with ALLAH�s commandments. THIS IS YOUR ONLY PURPOSE...to be a Muslim, to be in alignment with ALLAH�s commandments. Sometimes being loyal can deviate us from this purpose. Is it worth deviating from your purpose when you have been told the following ayats? But verily your Lord, - to those who do wrong in ignorance, but who thereafter repent and make amends, - your Lord, after all this, is Oft-Forgiving, Most Merciful. who do not know their own virtue." 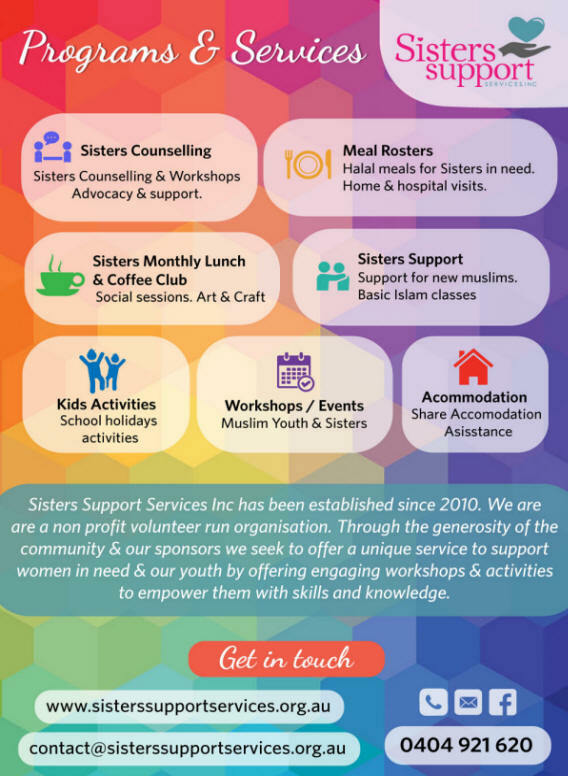 Please mark your calendars for Sisters Support Services Multicultural Fete on Sunday the 7 April ! 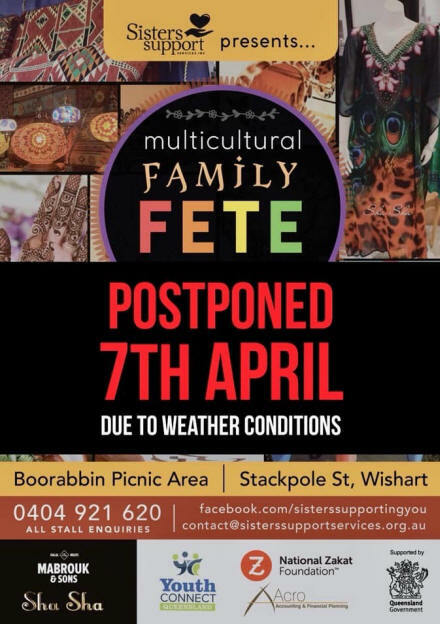 There will be a selection of exquisite multicultural food stalls, exotic homewares, Islamic bookstall, Henna, Islamic Art workshops and a tremendous selection of FREE kids activities including animal farm, jumping castle, face painting and exciting prizes for best dressed multicultural outfits! 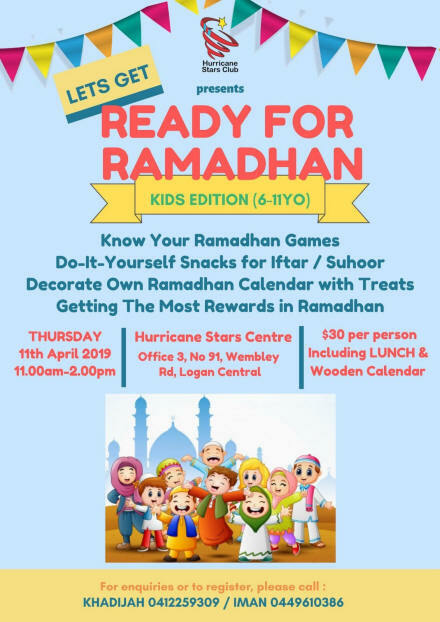 Our event is supported by Queensland Government and our generous sponsors for the event are Acro Accounting & Financial Planning, Mabrouk & Sons Halal Meat, National Zakat Foundation and Sha Sha Fashion. 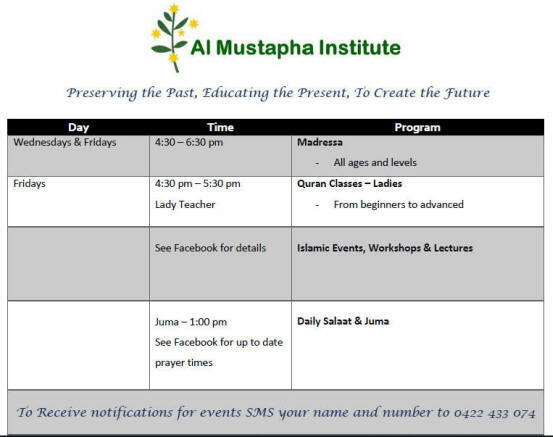 We look forward to seeing you there in sha Allah ! 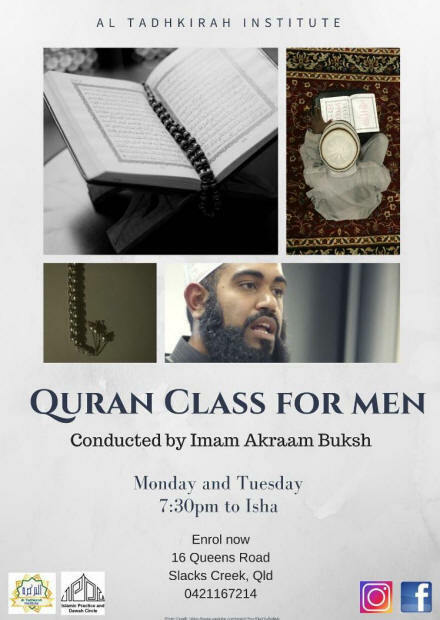 Following the tragedy in Christchurch, it is imperative that we continue to constructively engage with our non-Muslim brothers and sisters. 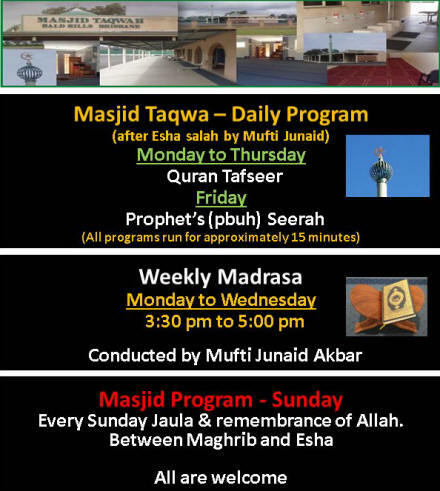 As part of this initiative, during the month of April, Kuraby Masjid will open its doors to the public between 10am-1pm every Saturday. The program will be very informal. The purpose is to make people feel welcomed and to engage in dialogue with them. 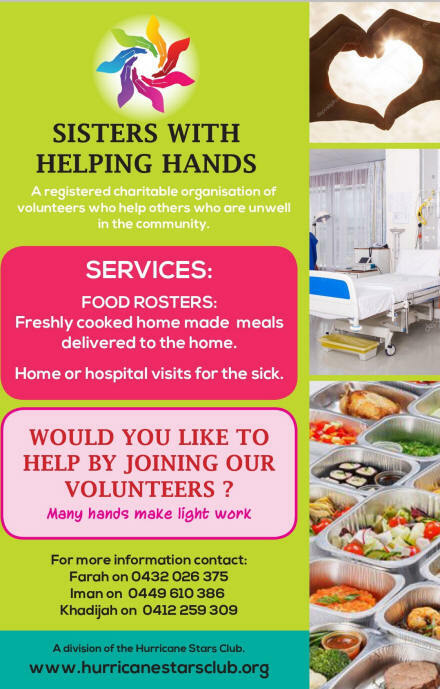 Volunteers are required. 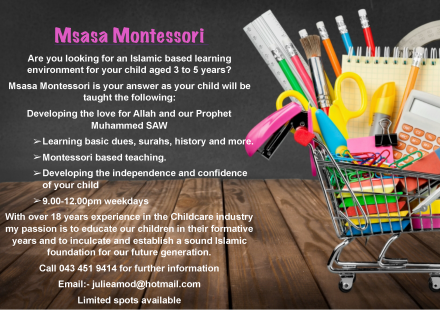 If you are able to assist in any capacity, please contact Ismail on 0431800414. 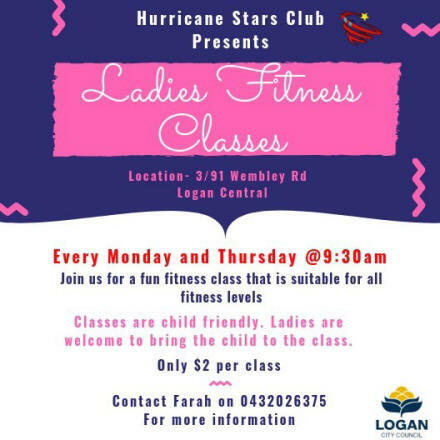 Logan Roos Football Club is in the heart of Logan City. 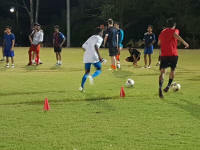 As 2019 season preparation has already started. All interested players from 5 years old to senior level are welcome to join. 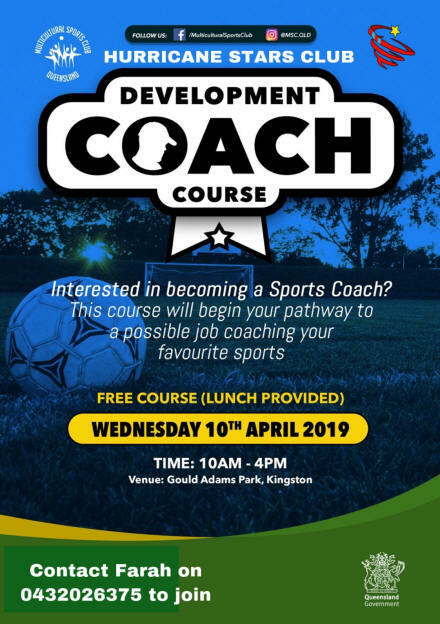 Limited spaces available. 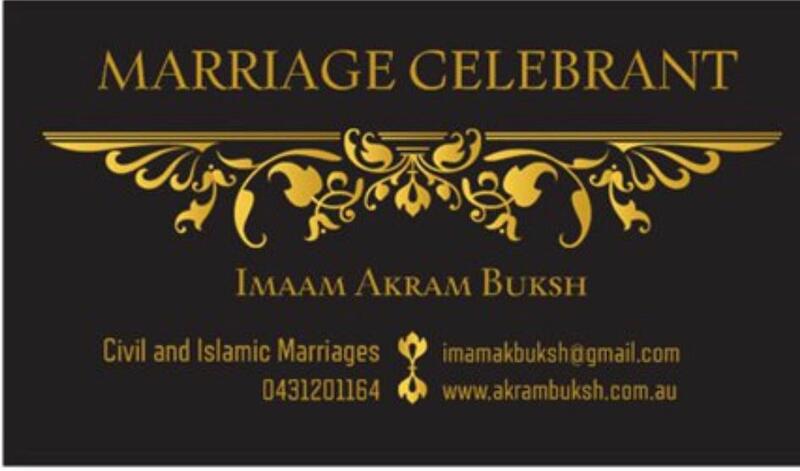 Or you can call the secretary Abdul Samim Khan on 0413669987. 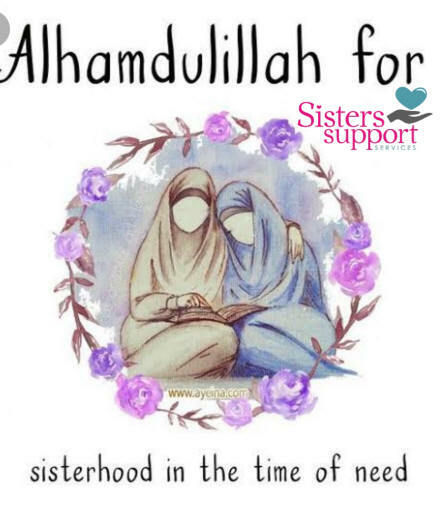 At Sisters Suppprt Services Inc we have qualified volunteers who help women in their darkest moments & time of need to empower them to make the right choices for better outcomes for their own lives. Here are some examples of our cases over the past few months. ALL names have been changed to protect client identities. 1. Aisha, a victim of Domestic Violence came to us for assistance. We assisted her by giving her money to buy clothing and personal items as she left her home quickly and with very little. Aisha has also needed ongoing counselling which she has been receiving from us for the past few months. She was taken to appointments and connected with the right people who helped her start a new life in a safe environment. 3. 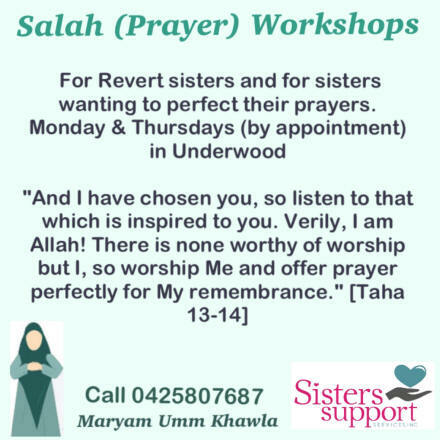 Sarah also a revert sister recently divorced with a young child arrived in Brisbane with virtually nothing. 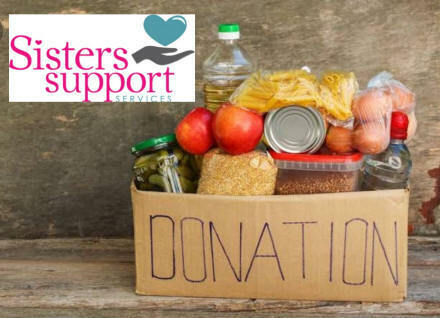 We have helped her with everyday essentials, food supplies & assisted her to find suitable accommodation. Sarah has some health issues & needed financial support with purchasing medications & by being driven to medical appointments by our volunteers. 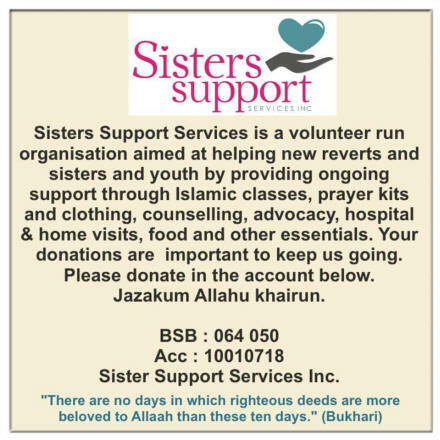 "So happy with the help I've received from Sisters Support Services." Email CSU@police.qld.gov.au with any agenda considerations or questions. 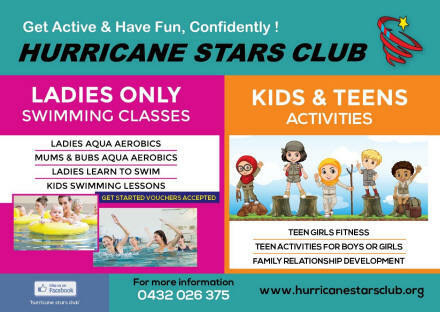 Hurricane Stars Club Get Active & Have Fun, Confidently!